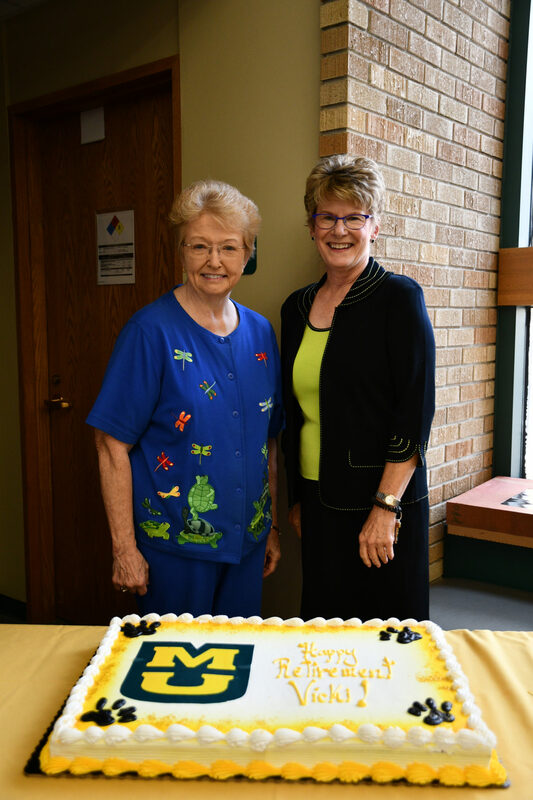 Dr. Vicki Conn has had an illustrious career spanning 32 years since her initial appointment as an assistant professor to the MU School of Nursing. 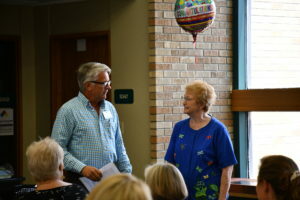 She is a graduate of the MU Sinclair School of Nursing, first with a Masters in Adult Nursing in 1981, followed by a PhD in Social-Psychology of Health and Aging. Conn served as the Distinguished Potter-Brinton Professor since 1995 and as Associate Dean for Research since 2002. Evidence of Conn’s impact on the University of Missouri, the Sinclair School of Nursing, and beyond, is found among many sources, including successful funding of millions of dollars in faculty and school support for research, her nearly 230 peer-reviewed publications (Scopus), her leadership as editor-in-chief of WJNR, and her successful mentoring of students and faculty who are now having their own impact in the world. 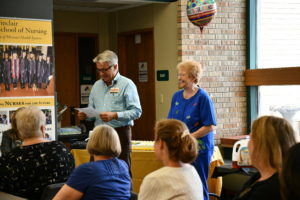 Greg Alexander congratulations Vicki Conn on her career and work as a researcher at the Sinclair School of Nursing. Greg Alexander reads through comments he gathered from Conn’s colleagues and friends. 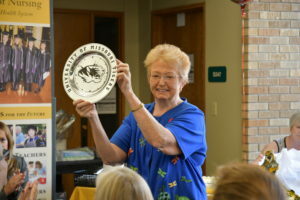 Conn proudly displays a wall clock and shares with the crowd that her home office will have a Mizzou theme. Look for an extended interview with Conn in the upcoming fall issue of Mizzou Nursing magazine.